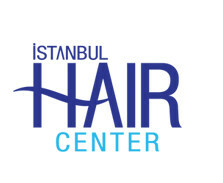 İstanbul Hair Center Hair Transplantation Center, is an expert institution which offers service for many years in hair transplantation and hair treatment with its expert staff who achieved thousands of hair transplantations successfully. Why To Choose İstanbul Hair Center? Hair transplantation is made by the expert Plastic Surgeons and professional staff. Hair transplantation is made through scientific methods. 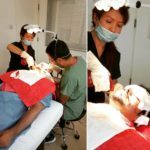 FUE method which can not be fully applied in many countries around the world, is applied by us perfectly through our own experience. 100% natural appearance is offered both in donor and in transplantation areas and our doctor and the whole team is quite successful. After deciding to have aesthetical surgery in Turkey, please inform us 10 days prior to your arrival, accordingly your appointment day will be determined. After face-to-face talk and consultation the day for local anesthesia will be specified. Willing to have hair transplantation, please fill out the application form on "consult your doctor" section via internet. Include your personal details, your problem and your picture within this form submit to us. We will forward you the details about the operations to apply information and the price. In case of your approval after the evaluation form, we will give you an appointment date according to your date of arrivel. We offer transfer servcies to our patients from abroad or other cities by making a reservation froma hotel close to our clinic. We pick you up from the airport after getting the travel info such as flight number, airport, estimated time of arrival. We meet you infront of Atatürk Airport Information Desk with a board bearing your name. Transferred by a car and you will be accommodated in your hotel. 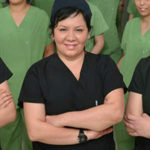 Emine Saykı will welcome you in the clinic for a detailed consultation. Your pictures will be taken. After the consultation you will be given information about the details of the operation and you will be informed via patient examples. The surgery date will then be specified. The surgeries are operated in the fully-equipped surgery room in our clinic. The patients are taken to a nearby Hotel accompanied by an attendant from the İstanbul Hair Center.